My 9 month old grandson is the happy modeling this picture. 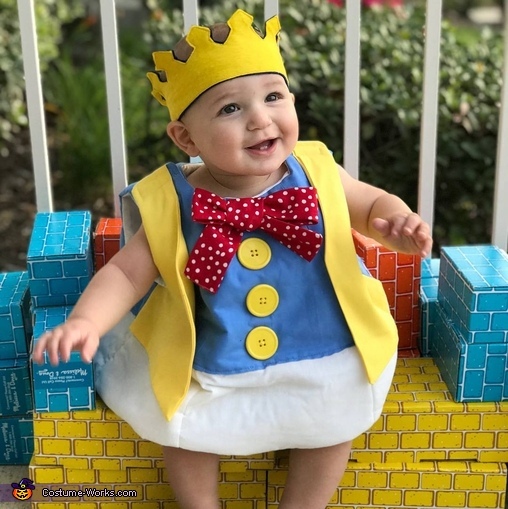 My daughter, his mother, wanted him to be Humpty Dumpty for his 1st Halloween! I made this costume, from a pattern but modified it a lot. It's fully padded and lined to give it its egg shape. Dax was very pleased to wear it and was all smiles this Halloween! !